With the absurdity of a 16oz green juice costing more than $10, you might think eating healthy requires a second job. But that's not the case at all, if you know what to buy. To give you a little help adding some new options after "chips" and "seven tubs of ice cream" on your grocery list, nutritionists told us their favorite cheap, healthy foods. Old-fashioned oats reduce the risk of terrible things like heart disease and diabetes by lowering cholesterol levels. And if anything else, they're just damn satisfying, especially during the colder months. "We always recommend stocking the pantry with whole oats. Add them to a fruit smoothie and you've just boosted your fiber intake for the day," says Lara Felton, MBA RDN. Obviously the fresh version is ideal, but if you're new to the healthy-eating game, buying fresh produce that may go bad in the fridge is as good as throwing money away. 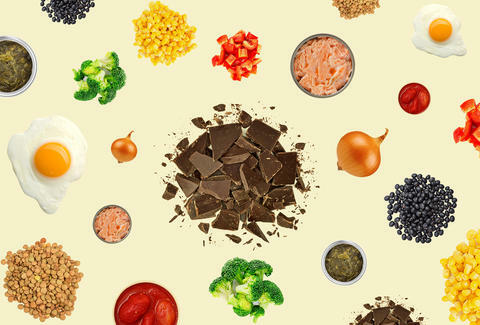 Frozen veggies are the next best thing to the fresh version, especially for getting out-of-season varieties. Chrissy Arsenault, registered dietitian at Verve Health, adds, "Vegetables are high in vitamins, minerals, and fiber and low in calories. According to MyPlate guidelines, half of your plate should be fruits and vegetables. Frozen vegetables make this goal more affordable, and equally as tasty!" The omega-3 fatty acids, which lower triglycerides and reduce inflammation, found in salmon are money for staying healthy, and Arsenault says, "The small bones are soft enough to be eaten (you don't even notice them!) and provide a great source of calcium. Try topping salads with canned salmon or make salmon burgers." 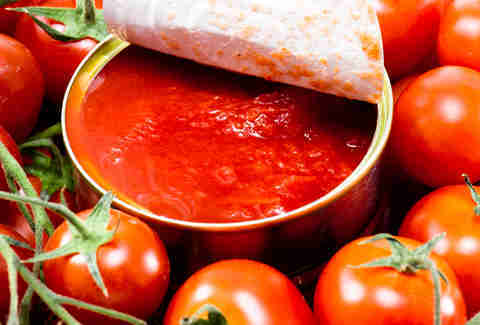 Tomatoes are only at their peak for a brief, glorious time during summer, but the canned version is good all year round, can be stored for a long time, and is a cheap way to load up on the antioxidant lycopene. "A can of tomatoes makes a great low-cal, nutrient-dense base for an Italian sauce, Indian curry, a French cassoulet, or Mediterranean one-pot dish," says Abbey Sharp, RD and blogger at Abbey's Kitchen. "Tomatoes are also high in the cancer-fighting antioxidant lycopene, and cooking can enhance its availability in the body." It's not all canned fish and frozen veggies in the realm of healthy eating, thank God. Chocolate has loads of antioxidants and other proven health benefits. Before you start downing candy bars for your health, though, dietitian Nichole Dandrea warns, "It must be dark!" Make sure you look for a high cacao content (usually above 70%), since milk chocolate is typically loaded up with sugar. Dry beans are one of the cheapest healthy foods around, along with dried lentils and other pulses and legumes. They're a solid source of plant-based protein, and beans are crazy good for you in all sorts of other ways. "I like to cook 2lbs of beans at a time and freeze them in batches to save me the hassle of cooking beans all the time," Dina Garcia of Vida Nutrition explains, though she makes no mention of her digestive habits. 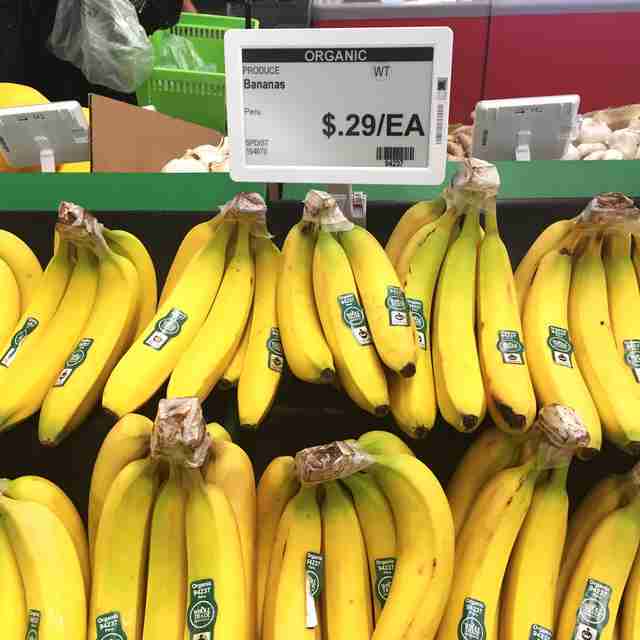 "I love keeping bananas on hand because they are cheap and also really versatile. You can use them frozen to make nice cream, which is pureed frozen bananas that have a creamy texture, as a great ice cream alternative. You can use them in smoothies; their sweetness allows you to hide veggies, like spinach, in there and not even taste them. You can also use them as a sugar replacement in banana bread or pancakes," says healthy lifestyle and weight-loss coach Kate Martino. Sure, fancy yogurt can get expensive, but it doesn't have to be. Stay away from the single-serve cups, and opt for the big-boy containers. The best thing about yogurt is the live cultures and good bacteria, which help keep your gut happy. It's also a versatile ingredient, according to Becky Facteau, RDN: "Plain yogurt can go on top of and in EVERYTHING. I eat it for breakfast with fruit, nuts, and spices. I add it to tacos in place of sour cream, and I mix it into my marinara sauces to add more protein and a creamy, tangy flavor to pasta dishes. Strained yogurts -- like Greek -- are higher in protein and lower in calcium than traditional yogurts and usually fill you up more quickly." They're stinky, but smart. Providing polyphenols and flavonoids, onions are a cheap option to easily add to a variety of dishes, including but not limited to soups and sauces, making them a favorite of Cara Harbstreet, MS, RD, LD. "This is a pantry staple for me because they are consistently priced within my budget and available in grocery stores during all seasons. Onions have so much versatility that they are well worth any pain involved to chop them!" Carson Quinn is a writer based in Indianapolis who loves green beans more than anyone you know. Follow her on Facebook and Twitter @NewsCarson.